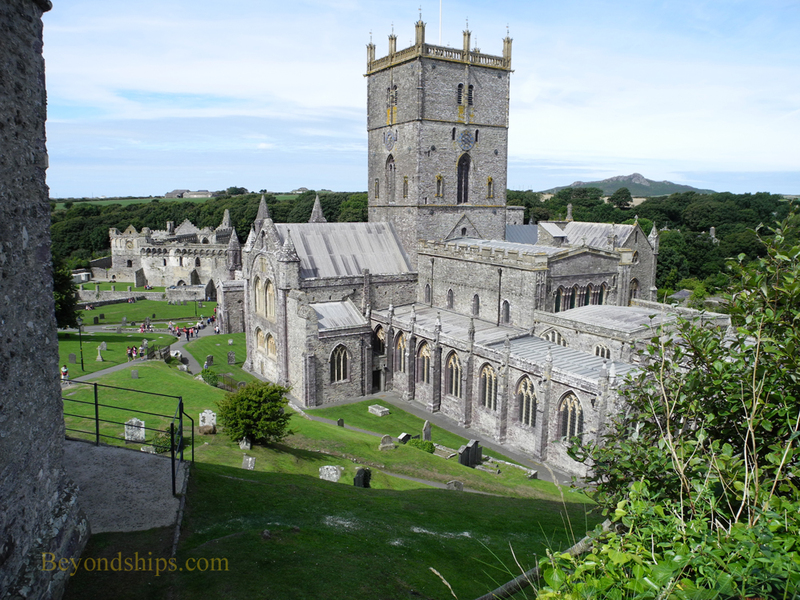 St Davids has long been once of the most important religious sites in the United Kingdom. It remains an active cathedral but is also of interest for its historical and architectural significance. St David was the son of the Welsh prince Sandde and St. Non. Upon reaching maturity, he became a priest, leading a simple life and traveling far and wide preaching. 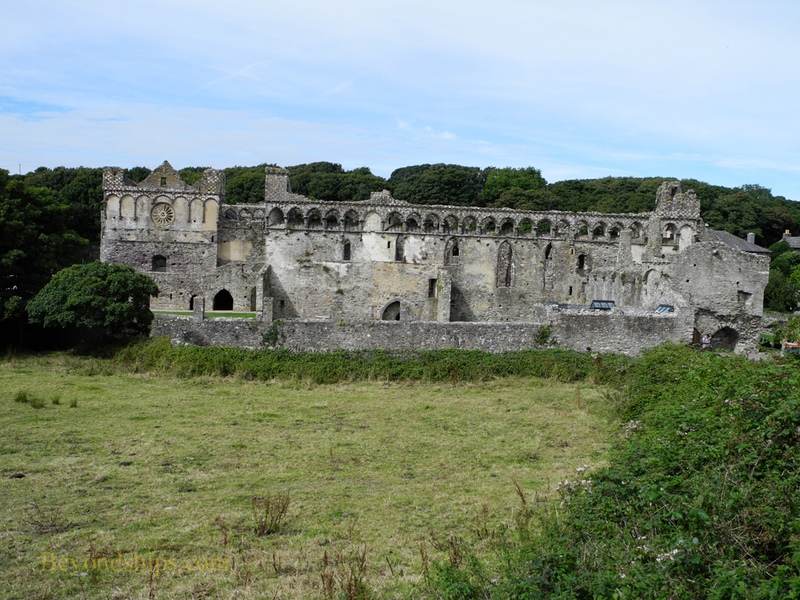 Among other things, he established monasteries at Glastonbury and here on the westernmost peninsula of Wales. The monks followed a strict regime that included hard work in the fields and at crafts. Many also trained for missionary work in Ireland including some say, St. Patrick. When David became a bishop, his seat was here. 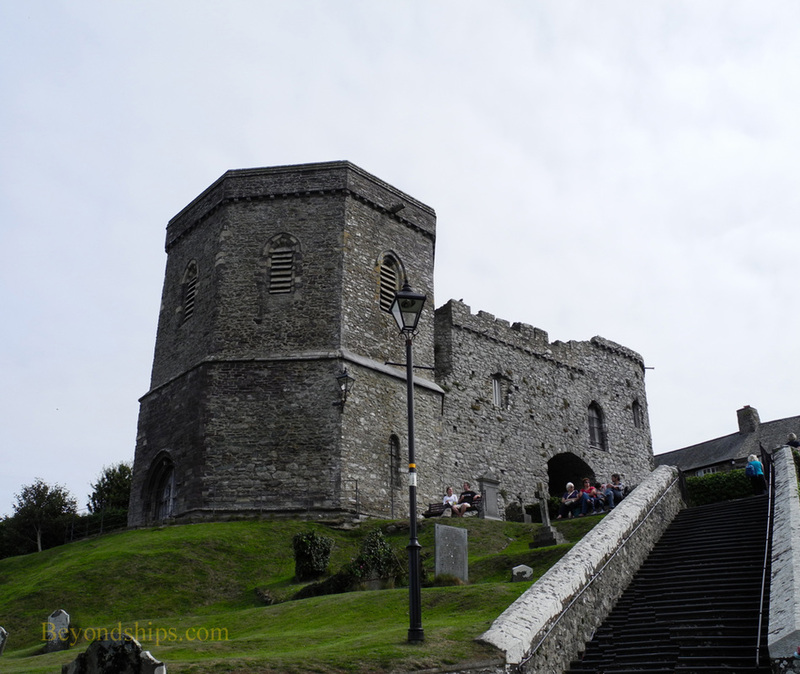 Several miracles were attributed to St David and so this site became a place of pilgrimage. During the Middle Ages, thousands of pilgrims came to the site including William the Conqueror and King Henry II with his queen Eleanor of Castile. 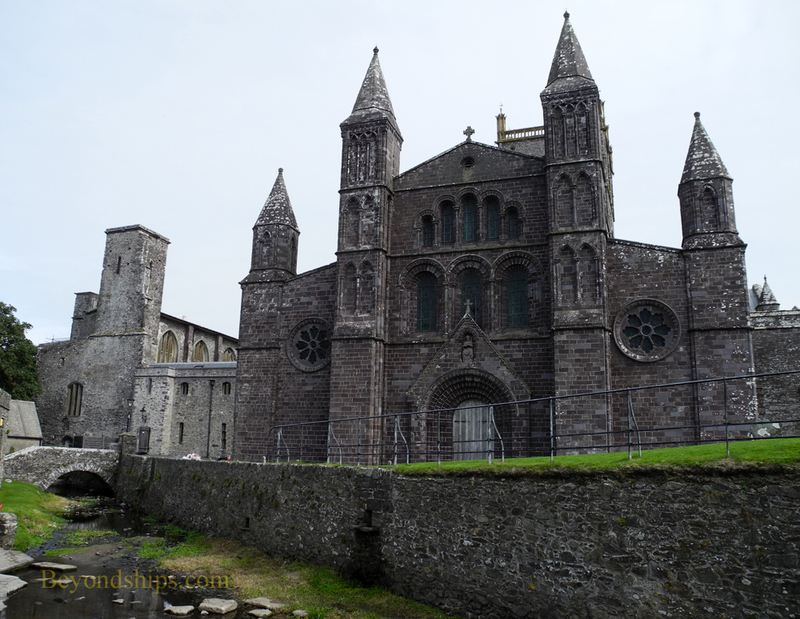 As a result, the religious community became very rich and in apparent disregard of St. David's teachings, a lavish bishop's palace was built next to the cathedral in the 14th century. The cathedral we see today is not the first cathedral to have been built here. Viking raiders destroyed the first cathedral in 1087. Rather, the current cathedral is believed to be the fourth cathedral to be built here. It dates from the 12th century and encompasses a number of styles. 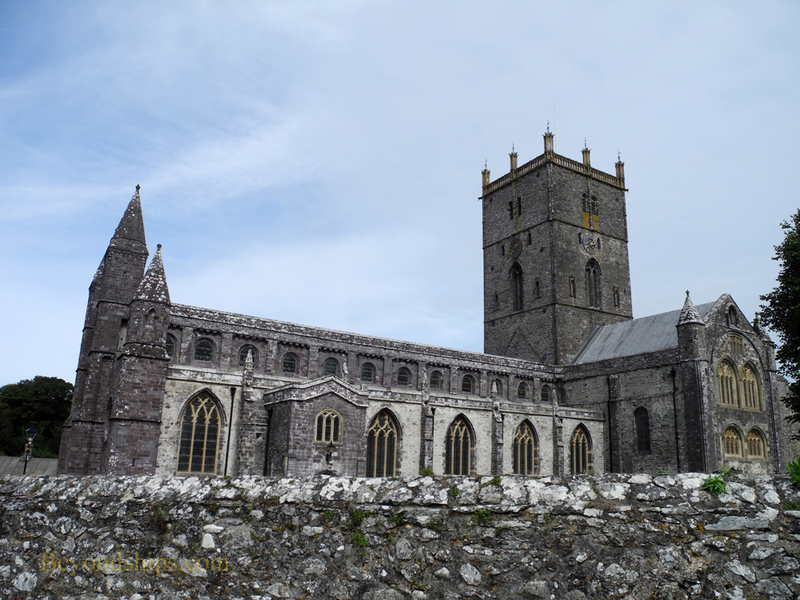 St David's sustained severe damage during the Dissolution of the Monasteries under King Henry VIII and then again during the English Civil War under Oliver Cromwell. Restoration work on the cathedral was carried out in the late 18th century but that proved substandard and more restoration work was done during the Victorian period and in the 20th century. Located at the base of a hill with the River Alun running by, the cathedral is an impressive sight. Inside, the Romanesque nave with its Irish oak ceiling is a glorious sight. The Holy Trinity Chapel was built in the 16th century in perpendicular style complete with fan vaulting that some say was the inspiration for King's College Chapel in Cambridge. The altar is made from medieval fragments. In the 15th century choir, there is a seat with the royal coat of arms. This reflects the fact that the sovereign is a member of the Chapter. The Shrine of St. David, which is the resting place of a number of early Welsh saints. One reliquary is reputed to hold the remains of St. David and St. Justinian. Restored in 2012, the Shrine has five icons painted by Sarah Crisp using traditional techniques. By the High Altar is the tomb of Edward Tudor, father of the first Tudor king of England and grandfather of Henry VIII. 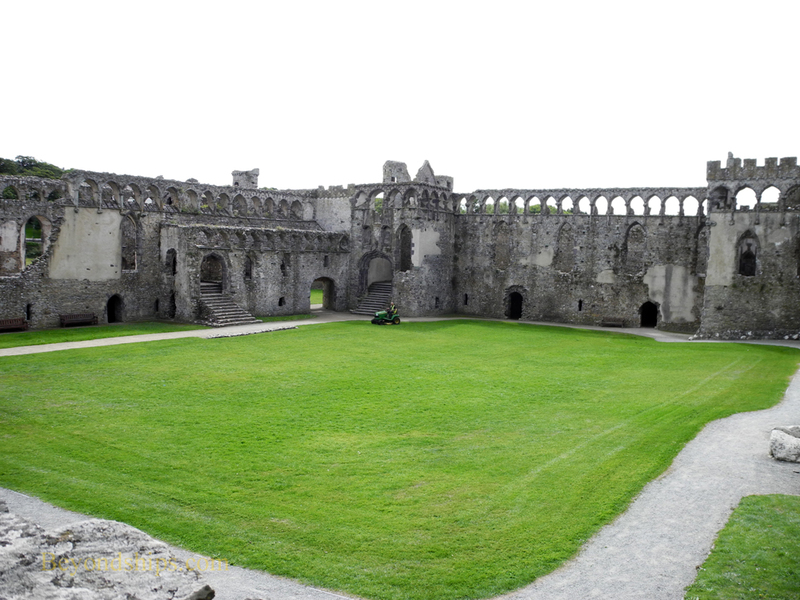 The grounds surrounding the cathedral are dominated by the ruins of the Bishop's Palace. Built around 1340 by Bishop Henry de Gower, the palace once included two sets of state rooms, one for ceremonial duties and one for the bishop's personal use. On the crest of the hill overlooking the cathedral is another medieval building. At one time the entire cathedral area was surrounded by a wall 15 feet high pierced by four gatehouses. The reason for such defenses is clear when you consider that the community was sacked by the Vikings at least 10 times. In any event, the Tower Gatehouse, which once included the Bishop's dungeon, is the only one that survives. It is used for exhibits today. Above and below: The Bishop's Palace.